I had a crush on Terry Reid from the first moment I saw him on stage at a tiny club in St. Petersburg, Fl. in the late 60’s. I never forgot him. He was the most mesmerizing performer I had ever seen. Years and years later, while visiting my daughter in L.A., she said, “I have a surprise for you.” She took me to this little club called The Joint and lo and behold who was on stage but Terry! I was stunned. My daughter has since passed away, but I will never forget that night in L.A. when I once again got to see Terry Reid perform. My daughter, who was raised on Terry’s music, stood next to me, smiling, digging Terry’s music just as much as I had all those years ago. Together we shared a very special evening that will live on in my memory and in my heart. Terry will always be a part of that memory. Nostalgically sifting through some old vinyl at a party, I came across a Terry Reid record. Now that I have a flash wafer-thin techy turntable which is compatible with the Pioneer sound system I won custody of (along with the cat) after my beautiful young husband went off into the sunset with a bloke – I’ve always been a sucker for a pretty face! – I felt a walk down memory lane would be theraputic. One listen and I was transformed again into the adoring teen-groupie and avid Reid-worshipper I once was! Time has no doubt taken it’s toll on the swivil-hipped fifteen-year-old front man of TheRedbeats but I’ll place good money to bet the voice hasn’t diminished onegravilly iota! Steele…thought I was a misfit when I bought a single called ‘Love me do’ because I said the bloke called Lennon had that certain husky catch in his voice which would bring him glory. I also quite liked a bloke called Joe Cocker and later, one called Rod Stewart they all had that ‘black-treacle-sexily-oozing-over-sandpaper’ quality which Terry Reid had in spades. what I’d say to Terry in the unlikely event of ever meeting him. ‘Great, same name, come outside’said my idol, dead pan and cool as Hell. I was a good Methodist girl, saving myself for the local plumber I was yet to meet and marry at 18 – and divorce in the ’70’s when he swapped his Ariel Arrow, white clogs and golden earring for a bungalow and slippers!! There, crushed against the wall on a hot summer night, (thanks Meatloaf) behind that shabby dance hall Terry gave me my first proper French kiss. He was 15, a man of the world. We energetically enjoyed our innocent Fanta-and chewing gum flavoured kisses for so long I could hear The Redbeats tuning up impatiently for the second set. He took my number (his book looked pretty full!) and then he was gone, bounding on stage, floppy shiny dark hair, big brown eyes and a voice to wake the dead. For twelve and a half minutes he was mine – I’d counted – and now he belonged to his public, albeit at that time the local teeny-bop village community and a handful of grizzled old bikers who knew raw rock’n blues when they saw it. I went back to school. Terry went off to the bright lights to join Peter Jay and the Jaywalkers and the rest is history – or rock history that would have been deeply enriched had Mickey Most not been so stubbornly, misguidedly precious about the greatest voice he would ever be privileged to handle. Yep, I’m 51 now. It’s been a kaleidoscopic journey since that steamy night in 1964. Pretty boys have come and gone. I even married a couple of them along the way. But a girl never forgets her first real kiss. I’d love a replay – Christ! – nearly 40 years on (I scrub up well) – perhaps champagne this time instead of Fanta and hopefully life will have rendered my conversation a little more interesting by now. Marion is an authoress – ‘Lilies that Fester’ under the name Marion Ansell – Published by Mentor. Terry Reid, Mick Taylor Palomino Club, North Hollywood Friday, Feb. 25, 1994 The on-again, off-again collaboration between veteran British rockers Terry Reid and Mick Taylor was definitely on this night as they seamlessly negotiated a two-hour trip through blues-drenched territory. Opening with a straight-ahead shuffle-blues ironically titled ”Fed Up With the Blues,” Taylor immediately established his formidable guitar presence. His fluid, sinewy leads,reminiscent of his best work during his tenure with the Rolling Stones, carried the lengthy jam along. The duo, fronting a tight three-piece band that included Rick the Bass Player, drummer Phil Jones and keyboardist Bruce Malament, is an interesting study in contrasts. The reticent Taylor, except for an occasional turn at lead vocals, was content to let his magical fingers do his talking. His slide guitar work was particularly outstanding. The incorrigible Reid, however, is both a singer of extraordinary talent and a first-rate entertainer. His constant onstage mugging and wide-eyed expressions of bemusement were hilarious. But he also delivered the goods with his gritty and expressive vocal style, particularly feeling his muse on tremendous cover versions of Ann Peebles’ ”I Can’t Stand the Rain” and a revised take on Aretha Franklin’s ”Natural Woman.” Changing the chorus to ”you make me feel like I’ve got me a woman,” Reid’s vocal intensity and power were spine-tingling. Not to be outdone in the covers department, Taylor offered up three blasts from his Stones past. ”You Gotta Move” was notable for Taylor’s deliciously sleazy, albeit impeccable, Delta-blues-style intro and Reid’s ripping vocal. Taylor also shone on a guitar-heavy instrumental version of ”Can’t You Hear Me Knocking” with Reid, also an able axeman, chipping in on second guitar. Encoring with a tortured blues rendition of ”Honky Tonk Woman” that turned the classic into a Delta-blues anthem, Taylor and Reid proved that they are still possessed of style, wit and undeniable talent. When I first saw Terry Reid it was the Fillmore West opening (and closing) for Ten Years After. In the 90’s I saw him at one show at the Coconut Teazer in Hollywood and Mick Taylor and Lee Miles were around. He did a strange version of “You Make Me Feel Like a Natural Woman”! Last time was with an all-star band with Joe Walsh and Ian McLagen but he only soloed on about three songs. Great band though-I always wished they recorded something but they seemed like they were having too good a time . Thanks to Bob Laul , Terry Reid’s ex-manager for the following. I actually do have a story to relate. 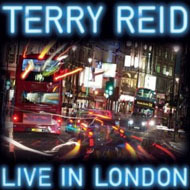 it was my first concert ever & Terry Reid was the opening act at Madison Sq. Garden here in NYC opening for Cream. it was November 14th, 1968. When terry opened the show, he got thru about 3 or 4 numbers & the audience started to boo him off because they all wanted to see cream. From the first moment I heard him sing I was awestruck. As he calmed the rowdy audience down he said (not an exact quote), “look if you don’t let me finish my set, I won’t get paid so please let me finish & cream will be out in a few minutes”. With that the entire audience (about 16,000 people) stood up & applauded. Terry finished his set & unfortunately for the audience there was another act yet to play, the Buddy Miles express, such is life. When terry’s “bang, bang” album came out in December I bought it & it’s one of my all time faves. When Terry Reid played Essex (University ) in early 1969 he was billed as “Terry Reid’s Fantasia” (or possibly “The Terry Reid Fantasia”) and support was provided by a band called Glass Menagerie. I remember the gig mainly for the problems that Terry had with his guitar amplification. They played two sets but there was no guitar sound at all in the first set. Even without the guitar the band really rocked and everyone was up and dancing. Their second set was an absolute revelation! Once the amplification problem was fixed the band just *soared*. I think quite a few of the audience were shocked to find out that Terry could not only sing but could play a very mean guitar! In 1974-5 I was living in Hollywood with an aspiring actress who never stopped talking. She had a friend who talked even more, and incessantly dropped names (for example, she said that her sister had once made soup for the Rolling Stones, and quipped that it was a “Goat’s Head Soup,” and that was how they got the name for the album…you get the picture). Being the cynical guy I was, I usually listened to her rants about her “friends” like Jackson Brown and David Lindley as just so much hot air. When one day she offered to introduce me to Terry Reid, I called her bluff. I had been aware of Terry from his debut album and the airplay of his cover of Sonny & Cher’s “Bang, Bang, my baby shot me down.” So she, my girlfriend and I all drove to Oxnard. She took us to a small, unassuming beach cottage that she claimed was “Terry’s house,” and we went up and knocked on the door. No answer. When she said that he must have just left for a while, I was sure my scepticism was justified. As we got in the car to leave, you can imagine my shock when Terry drove up. The introductions were made, Terry and I hit it off in a small way, and I visited him there a handful of times until I moved back to Kansas in spring of 1975. When I did visit Terry, we would simply hang out, talk, and occasionally jam. I play guitar, though definitely not in Terry’s league. Still, he never made me feel like anything but an equal, and I treasure the fact that I was jamming with him, putting lead parts on songs from his album “Seed of Memory” before it was even released. The real kicker was the last time I saw Terry at home. He was upset because Led Zeppelin were coming to town, and Lynne’s younger sister was pressuring him to get her backstage. Terry told me that although he wanted to please Lynne’s sister, he knew the guys in Led Zeppelin and knew they had a tendency to get pretty wild on the road. He relayed a couple of accounts of their treatment of young girls, and I understood why he was reluctant to get her backstage. What he NEVER mentioned in all our conversations was his professional relationship with Led Zeppelin. It wasn’t until the 1990 that I learned from a rock trivia book that Terry had turned down the vocalist spot, and had also been instrumental in getting Page and Plant together. So maybe now he is a name dropper, but, hey, that’s all right with me. If anyone has earned the right, it would be Terry Reid.